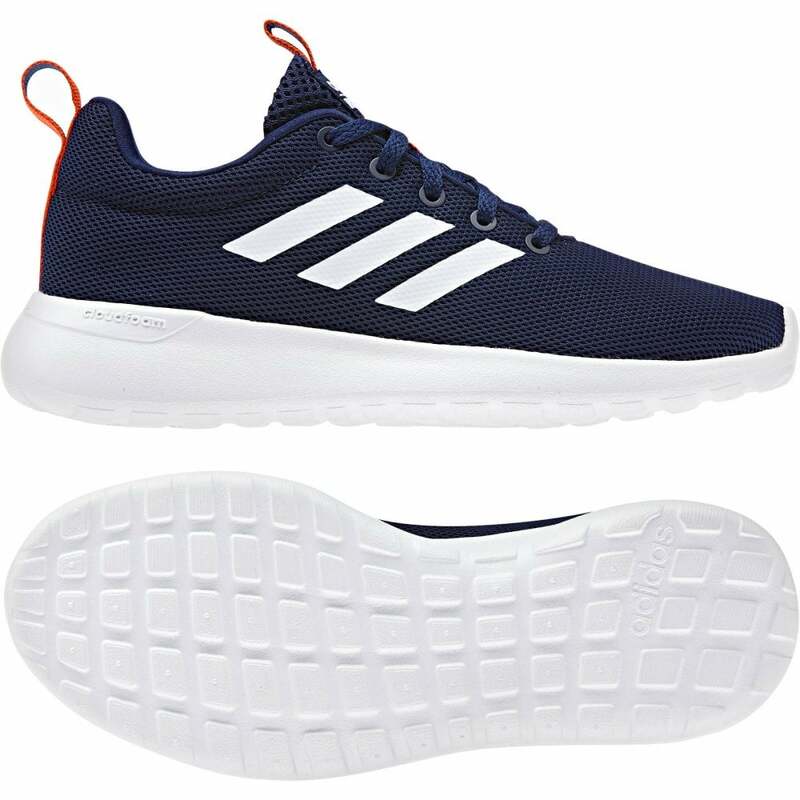 These lace-up ADIDAS Lite Racer CLN Trainers have a synthetic & textile upper and are navy in colour. They have a padded textile lining in black as well as a padded footbed and ankle collar with bold orange pull loops at the tongue & heel. ADIDAS branding appears on the sides, tongue & heel and the synthetic sole has a deep rubber tread for excellent grip.